Free agent outfielder Bryce Harper. The following pieces of news regarding Bryce Harper's seemingly unending saga to pick a new baseball team may come as a "no duh" to most following the situation closely, but they are the only pieces of hard, concrete news we have to report as pitchers and catchers officially start working out at spring training for many teams, including the Phillies. First, contrary to some speculation — that Harper might want to, at 26 sign a shorter term deal — it was confirmed he only will ink a serious long term agreement. That comes as no shocker, and the Phillies happen to have been one of the teams who've been ready to commit long term all along. But that item of news brings with it a second nugget, the Phils are apparently among the last two teams still in the running. Insider Bob Nightengale went on the radio (which is why we do not have a tweet from him to share), saying the Phillies and Giants are the last two teams really being considered, eliminating the Nationals and White Sox from the race. It was further extrapolated, from that piece of news, that the Phillies would need to outbid the Giants based on how good their recent meeting went. Whether that is true is simple speculation, but is a reasonable analysis. 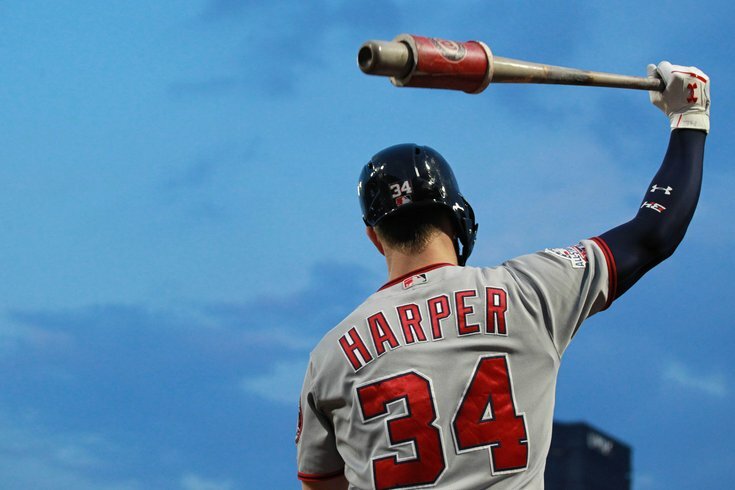 So Harper, reportedly, is picking between San Francisco and Philadelphia, and prefers long term. Seems pretty darn simple doesn't it? Are we finally close? Until we get word pen has met paper on a contract, nothing but speculation will roam.